As a child, I thought there were clear lines. Things were either right or wrong, black or white. However, as I grew up, I learned the world was much more complex. So complex that sometimes, there was no black or white, but merely shades of gray. These shades of gray invade every aspect of our lives. We debate on everything too. From whether eggs are a healthy protein or cholesterol killer to if the media is worthless fake news or valued free press, we plead our case. It seems nothing is simple anymore…or maybe, it never was. Eggs have always been eggs. Their molecular composition has not changed. Nor has their nutritional values. They are both things: high in protein AND cholesterol. So, depending on what you read and your nutritional needs, they can be good or bad. For example, the Mayo Clinic states that eggs can be a very healthy option. 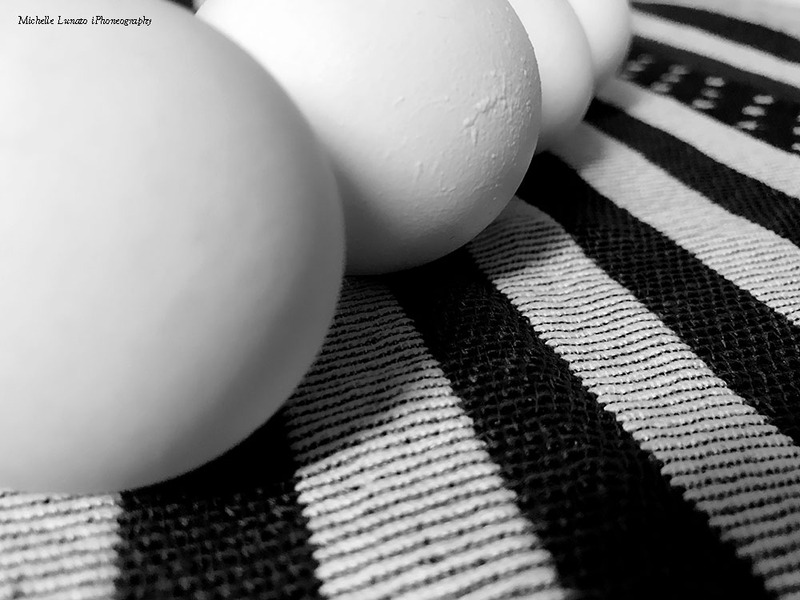 Most healthy people can eat up to seven eggs a week with no increase in their risk of heart disease. Some studies have shown that this level of egg consumption may actually prevent some types of strokes. Yet, for a while, eggs were reported to be a bad food choice by many. For example, Live Science states that there is no real dietary need for them. Cholesterol is an important component of all human and animal cells and influences hormone biology, among other functions. Since your body naturally has all it needs from producing its own cholesterol, there is no dietary requirement for more cholesterol. The problem here is that both arguments are factually correct. So, if we can have this much debate over the simple egg, naturally, every other issue is bound to be more complex. That brings me to the media and the current buzz over their value. Just like eggs, there are two distinct camps. There is the #FakeNews camp and the #NotTheEnemy camp. And, just like debate on eggs, both camps have some validity. Is there fake news out there? Of course there is. However, it is usually called propaganda. This simulated version of news aims to inform its audience with the goal of altering an opinion on a topic. Sometimes there will be a nugget of truth buried in the “news.” Or other times, it is completely false. Either way, this propaganda can be powerfully misleading. This fake news is not a left- or right-wing problem though. It can easily be found across party lines. Heck, it can be found across the globe for that matter. On the flip side, there is good journalism out there. For generations, reporters have discovered many wrongs in the world. From unethical business practices to inhumane treatment of segments of society, reporters have provided the checks and balances in our democratic society. This necessary “watchdog” in America is essential. Unfortunately though, the watchdog’s growl is not always appreciated, especially if its directed AT you, rather than FOR you. No one likes criticism of course. There will always be an endless stream of naysayers and complainers who think their way is better. However, as mature adults, it is important for us to sift through the claims and evaluate if there is any validity. And sometimes, we have to realize…the truth isn’t always pretty. Nor, is it always for us. However, just because something is not FOR us, doesn’t always mean its false. This harsh reality is what makes democracy work though. It helps to keep people honest and makes them accountable. But as average people in this era of #AlternativeFacts, how can we trust what we are reading? With new “media” sites popping up all over the internet, it can be hard, if not impossible, to know the truth of what we are reading. Fighting propaganda is a serious concern these days. And it is a issue that falls into the laps of the readers, according to National Public Radio. Stopping the proliferation of fake news isn’t just the responsibility of the platforms used to spread it. Those who consume news also need to find ways of determining if what they’re reading is true. If you read their article, they give some tips on filtering out fake news, which I highly recommend. I guess the bottom line is that you should get your news from multiple sources, or like the saying goes…don’t put all your eggs into one basket. I’ve always been drawn to colors. They seem to add a filter on top of life, making everything seem more fun, interesting and creative. Just think about it. What would a sunset be without the blend of colors painting the sky? How appealing would a birthday cake be in the steel tones of black and white? Where would the appeal in fashion be if we only had shades of grey? It would all be drab and lifeless…like living in District 11 of the Hunger Games. Oh, no thank you. No disrespect to District 11, as they were quite wonderful, but I just prefer my life in color. Maybe not the over-the-top color of the Hunger Games’ Capitol, but somewhere in the middle. To me, color is just not a visually appealing thing. There is so much more. Color defines things. It gives them meaning and feeling and power. Without the color in the sunset, I think I would not appreciate the majesty. I would miss the slow ending of the day as it melts into the night. The glory of another opportunity to live would just be lost in a colorless sunrise. Just watch Pocahontas. She totally embraces the color of life. Like Pocahontas, color stops me. It makes me pay attention to it. Therefore, it centers me into my present moment. It forces me to appreciate that moment and embrace it. And for all that it’s worth, those moments are the ones that truly matter. We cannot change our past and we can only imagine our future. But in those present moments, we have power. We can control our thoughts, our actions, our plans. In the present, we can learn to deal with our past, make plans for our future, and just embrace the the now. The present has power. So, I recommend we all stop and notice the color in it…and feel it. And it you don’t like picture your seeing…Well, in the present moments of life, you have the power to break out your color pencils and start drawing a new scene. Color yourself into a better picture in the future. 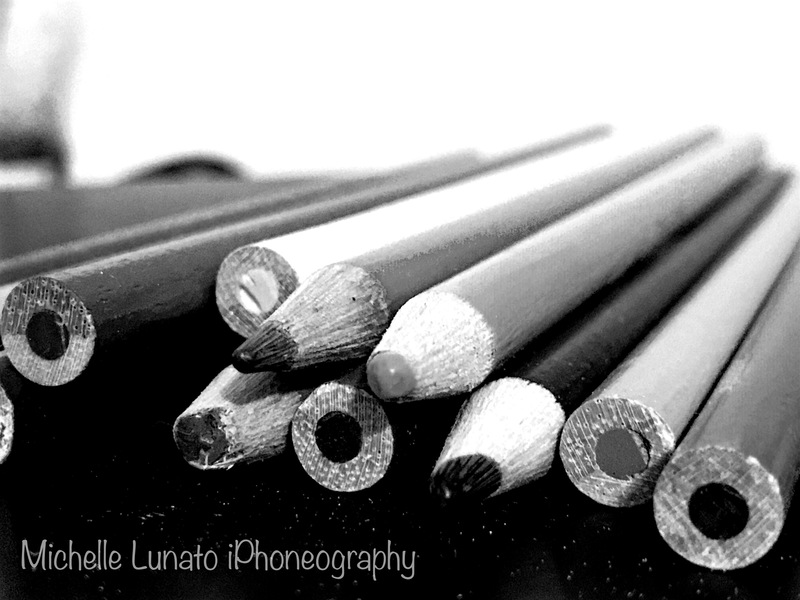 The black and white version of my color pencils. For Sally D’s Mobile Photography Challenge ~ Macro.